Which Side Are You Running On? Cars approaching you closer and closer. Zooming past you, just inches away. It’s enough to usher in a wave of fear, wondering if you’ll get plowed over. It can feel downright awkward and vulnerable. This just seems backward. You feel like every driver is staring you down. For safety, runners are urged to run on the left side of the road—facing traffic. Huh? It doesn’t make sense! It would feel much more comfortable to run with the flow of traffic rather than against it. The truth is you’re doing the right thing by running against traffic. Running on the left shoulder facing oncoming traffic is much safer than having cars at your back. In most states, it’s not even a matter of choice; the law requires that runners face oncoming traffic. Oncoming traffic can better see you. If you ran on the right side of the road, you couldn’t see what’s coming behind you. Distracted drivers (texting or looking at their phones) won’t be able to see you until the last-minute. Or in some cases, won’t see you at all until it’s too late. 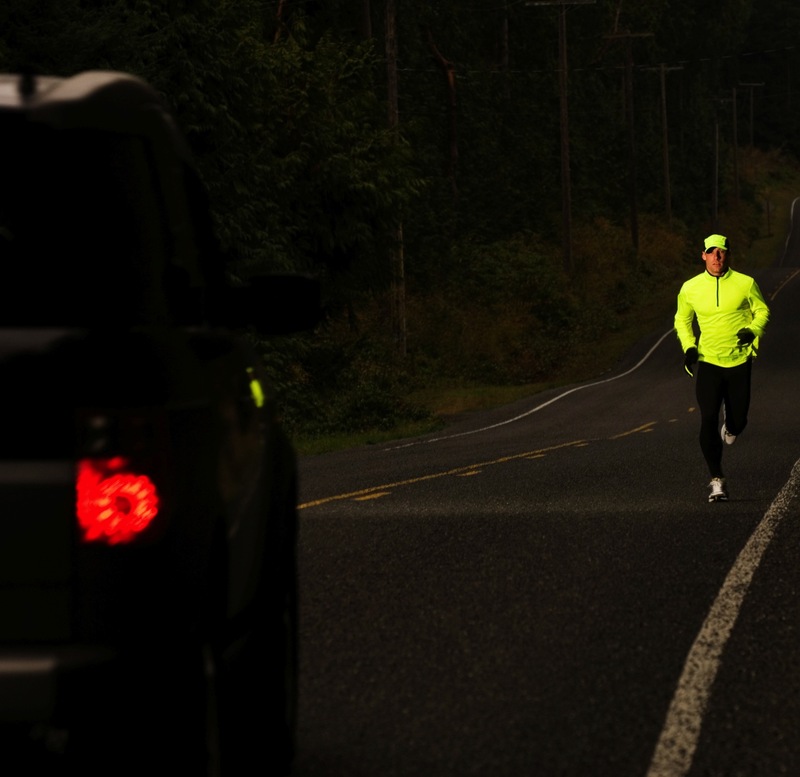 Runners who run with traffic are dangerously putting themselves at high risk. So the best way to prevent an untimely meeting with a vehicle is to be able to see them. And that means you must run against the traffic and ignore what appears to be a comfortable pattern. As followers of Christ, we are called to stand out from the world. We are set apart. That means we don’t conform to the ways of our culture. The spirit of this world opposes the ways of God. The spirit of this world is wrapped around pleasing self. People who are not God-driven are caught up in the whirlwind of a dangerous traffic pattern. Its force is strong. At times it may even look appealing, beckoning us to join in. If we aren’t careful, we can get distracted. Before we know it, we’re caught up in the rushing current of sin. And then we think it’s no big deal because everyone’s doing it. This is the path everyone is traveling, so it must be right. Just as runners go against the flow of traffic for physical safety, we must resolve to walk the narrow path for the life of our soul. As tempting as it may be to blend in with the world, we must commit our lives to walk as Jesus did. We must embrace the path He has laid out for us. This path will not look like that of our unbelieving neighbors and coworkers. This path will not be popular. This path will not feel comfortable. On the contrary, this path will feel awkward. It will cause us to feel very vulnerable before others. Walking this path will go against every fleshly desire welling up inside us. But this is the path we must embrace if we are true followers of Christ. Hurting people in this world will notice us plain as day. Broken hearts will be drawn to the hope radiating out of us. Empty souls will turn in our direction, longing to be filled. But they won’t notice us if we’re blending in with the traffic pattern of the world. READY? As a follower of Christ, which side of the road are you running on? When are you tempted to blend in with the world? What is your response when it feels everything is against you? What steps can you take to confidently run your race of faith on the righteous path God has laid out? GO! Lord Jesus, this world is a tough place to live in. It’s so easy to get caught up in the flow of what seems right. I desperately cry out to you and ask you to strengthen me. Help me to be brave and walk the path you’ve laid out for me. Help me to be faithful even when it feels like I’m alone. Amen. If you enjoyed this post, check out my devotional book! ← Come As You Are–A Muddy Mess! Thanks again Tai! I love to see your smiling face every time I read your comments. Have a blessed weekend! I know exactly what you’re talking about Lisa how, when running, it can feel awkward and vulnerable to be running on the other side of the road – against traffic. Sometimes I’m running against traffic with a reflector vest and headlight so people see me, and so I can see just enough in front of me. (I’m reminded of Psalm 119:105) I LOVE your analogy:Just as runners go against the flow of traffic for physical safety, we must resolve to walk the narrow path for the life of our soul. You’re such a blessing and I continue to pray that God gives you divine creativity as you continue to write posts for #RestStopForTheSoul. Blessings! Stacey, always love to hear from you! Appreciate your feedback as a runner too!! This one took me a bit longer to put into words, but it finally came together. Praise God for opening my eyes to these powerful pictures. I always run against traffic, but just curious. Why can drivers see you better if you’re approaching them rather than if they are coming up from behind? Would seem they would see or not see you just as well either way? Thanks. Being a Christian these days isn’t very popular. This blog gave me some renewed strength to keep running against traffic. Thanks for your comment,Jeff! Glad you were encouraged by the parallel God gave me! Be blessed and don’t give up. God is with you as you run your race!